The vineyards of Condrieu stretch along the eastern edge of the Massif Central. In this area, the right bank of the Rhône Valley is characterised by extreme topographic variation. The vines have made their home on very steep slopes that provide a transition between the valley floor and Pelussin Plateau. 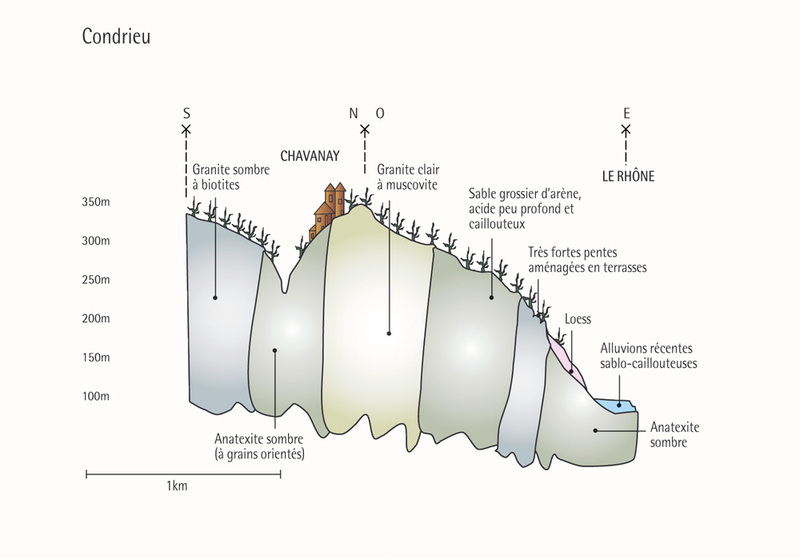 The vines cling to the mother rock thanks to numerous terraces (called chayées locally), which are narrow and require sustained care.